Standard Chartered has been hit with a $40m fine by the New York Department of Financial Services (DFS) for attempting to rig transactions in foreign exchange markets between 2007 and 2013. In its announcement on the matter, DFS explains that its investigation and an internal review by the bank found that bank traders used a various illegal tactics to maximize profits or minimize losses at the expense of the bank's customers or customers at other banks. DFS's investigation of Standard Chartered found that traders used chatrooms, e-mails, phone calls and personal meetings to attempt to rig transactions. The illegal activities uncovered included coordination of trading and spreads among traders; sharing confidential customer information; and engaging in non-competitive agreements among traders on prices and spreads. Between 2007 and 2013, traders based in New York and elsewhere joined traders at other locations in a chat room called "Old Gits" and "Butter the Comedian". The chat room was used by traders to coordinate trading, share confidential information and otherwise affect FX prices. One trader described the chat room to a new member as "a den of thieves." Membership in the chat room was controlled by its members who voted on whether new members were trustworthy enough to join. Traders at Standard Chartered stand accused of colluding with peers to manipulate emerging market currency prices to benefit the banks, at the cost of clients. FX dealers profit when they quote narrow spreads between the bidding and asking prices in currency exchanges. The New York Department of Financial Services said this week that the bank had engaged in «unsafe, unsound and improper conduct» between 2007 and 2013 in its currency trading business. DFS superintendent Maria T. Vullo added: "The integrity of the global financial system is compromised when the hunger for profit leads bankers and traders to turn a blind eye to the kind of illicit activities uncovered by DFS's broad investigation." DFS also determined that Standard Chartered's management failed to effectively supervise the bank's FX business and ensure compliance with rules, regulations and laws. The bank was slow to identify risks and develop policies and processes to govern the business and ensure compliance. The bank had few policies or training programs to guide staff about the line between proper and improper behavior. DFS notes that the bank took disciplinary action, including termination of employees identified by DFS as engaging in misconduct. Other individuals resigned or were otherwise terminated for other reasons before disciplinary action related to trading could occur. 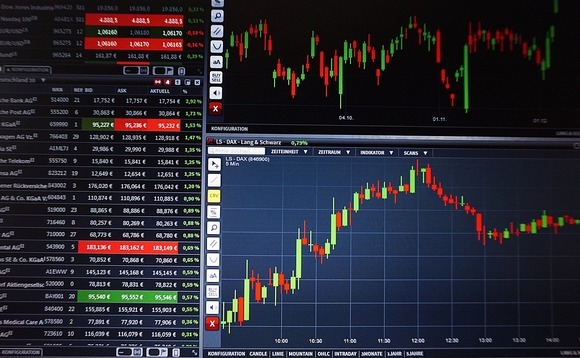 The action follows previous fines totalling $3.14bn that DFS has levied against Barclays, BNP Paribas, Credit Suisse, Deutsche Bank, and Goldman Sachs to resolve unlawful conduct in the forex trading business.